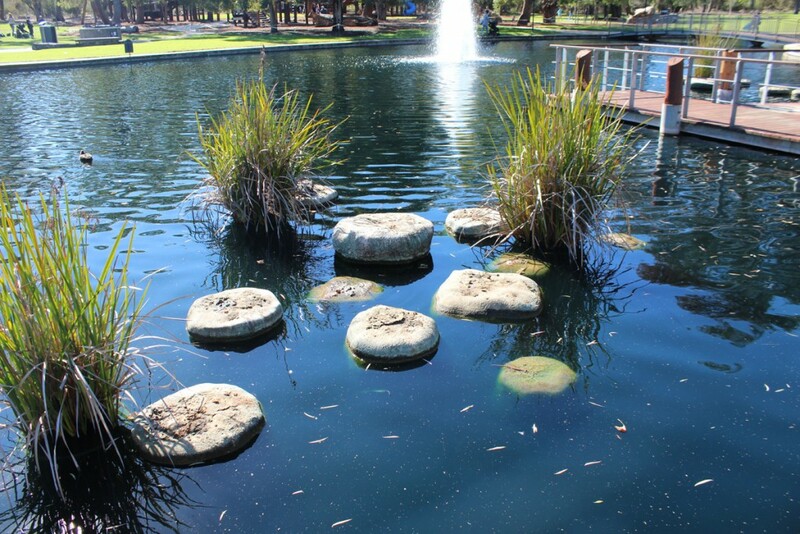 Kings Park is a fabulous urban park sitting on the western edge of the Central Business District of Perth, Australia on Mount Eliza. It’s just a short walk from downtown but there is also lots of parking. 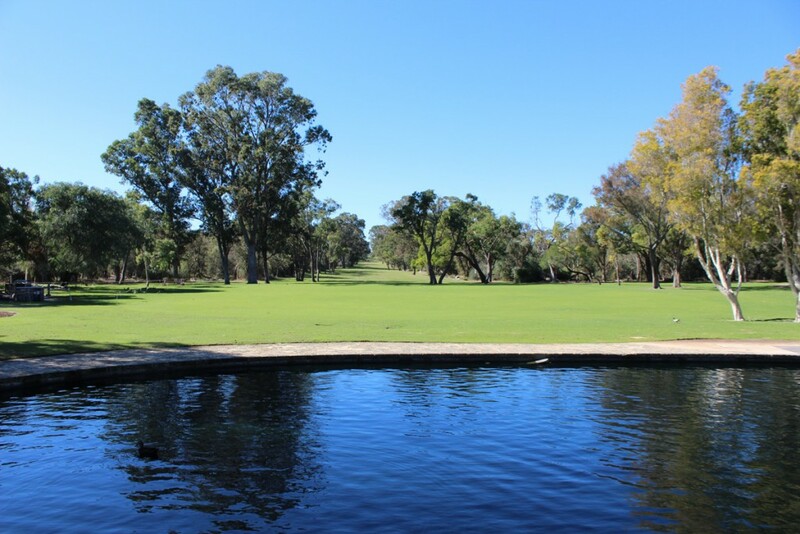 It’s a large park comprising 4.06 square kilometres or 1003 acres. Like Vancouver’s Stanley Park which is about the same size, it is a multiple use park with much of it wilderness. 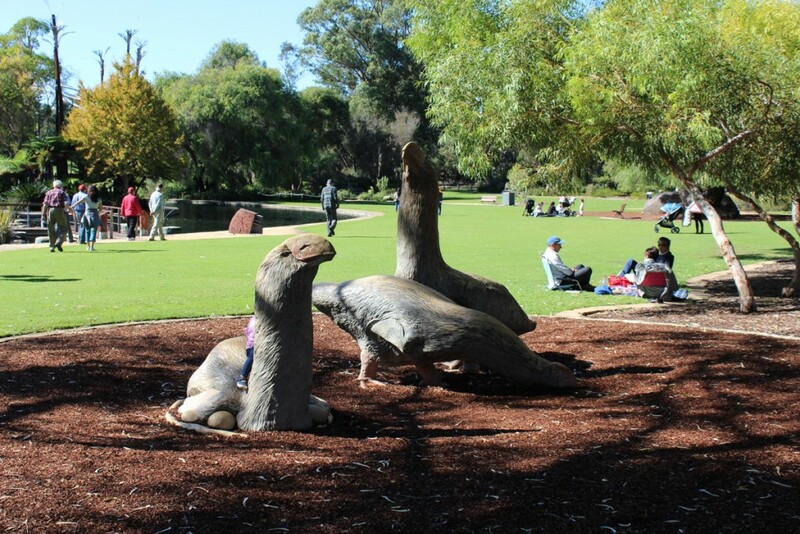 The lower area features a large children’s park which includes many replicas of Australian dinosaurs. We entered the park near here which borders on the university district. 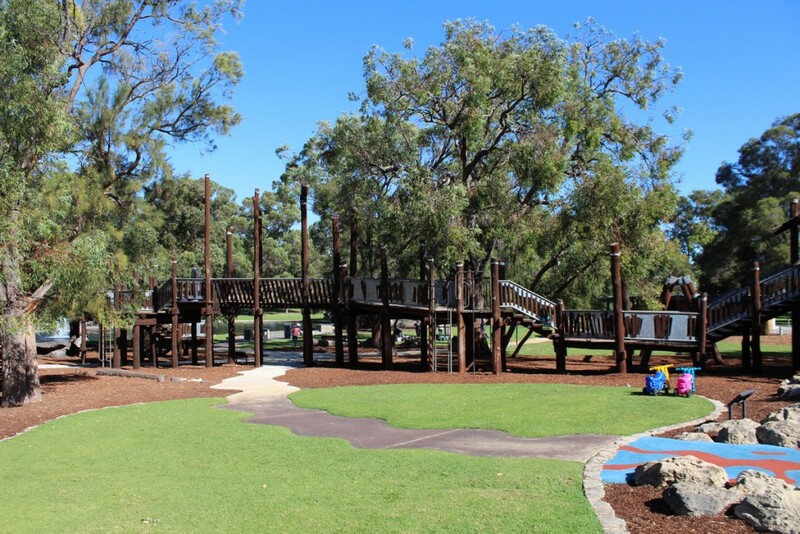 The Synergy Parkland is a children’s park in the lower area of Kings Park. 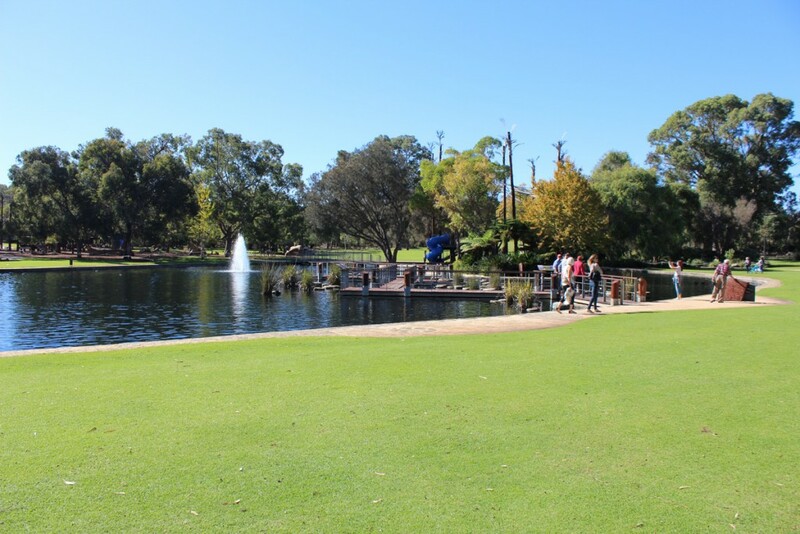 This area has a lake and a children’s playground as well as the dinosaurs. It is a popular destination for school outings as well as for families. Large signs describe these giant beasts. 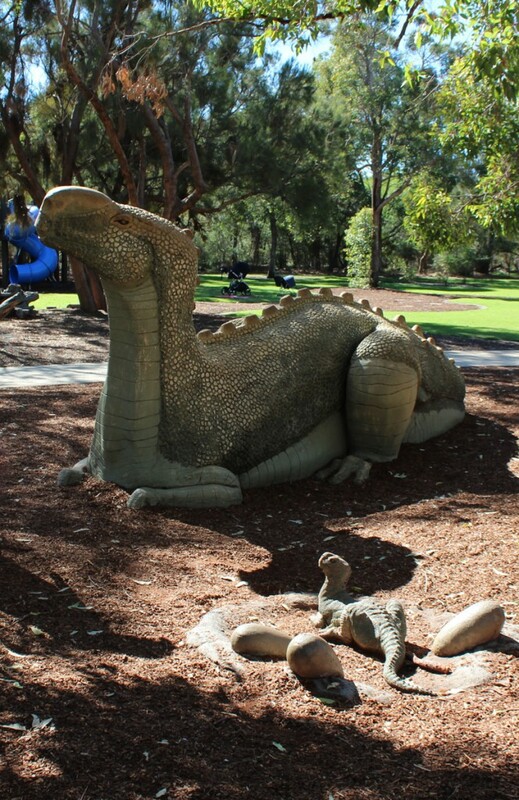 This big fellow is a muttaburrasaurus,a plant eating dinosaur indigenous to Australia. It measured 26 feet long and weighed around three tons. 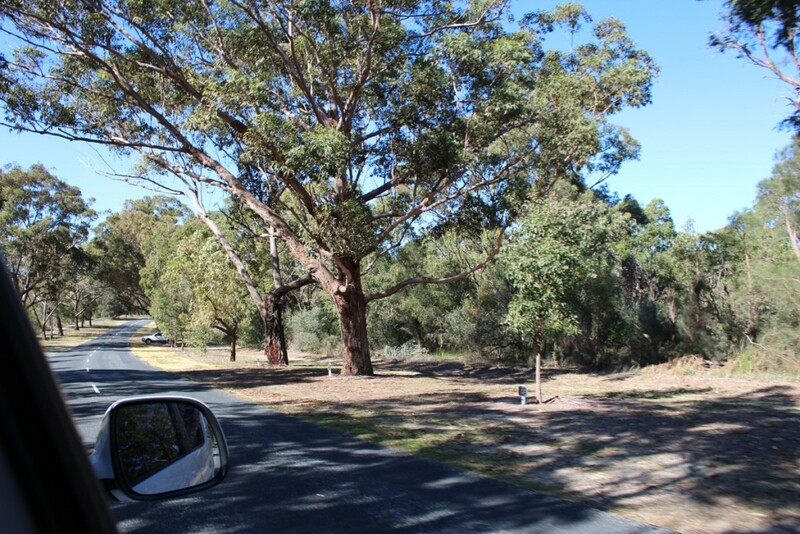 A network of roadways connects the various parts of the park and along the roads are eucalyptus trees planted to commemorate Australia’s fallen warriors. A plaque marks each tree with the name and details of one of these soldiers. Over 1600 of these plaques honor the war dead. 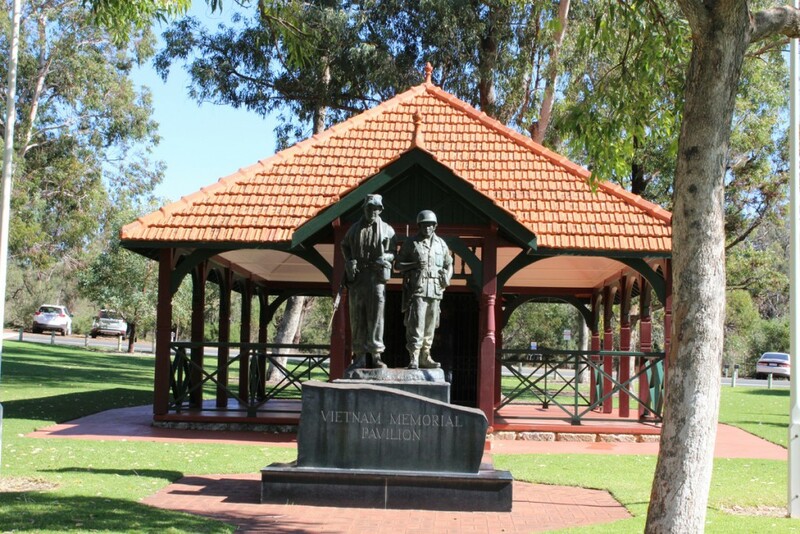 Roads through the park are lined with eucalyptus trees and plaques honoring fallen soldiers. 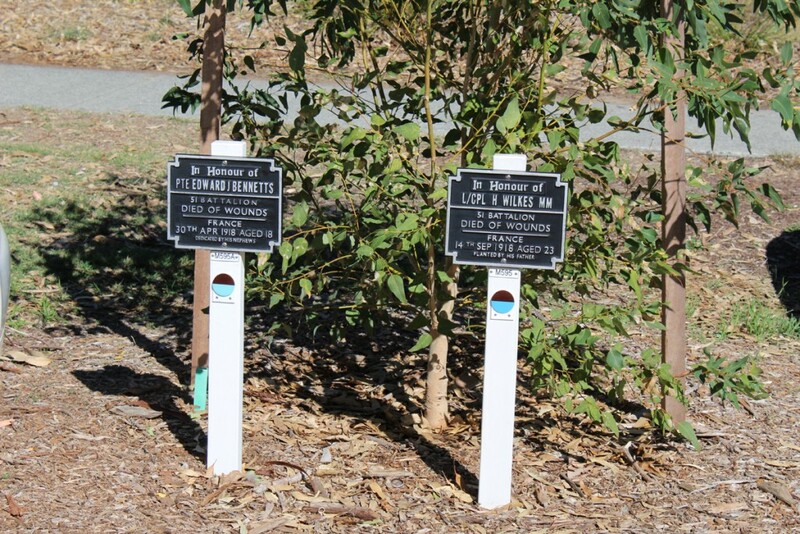 A couple of newly planted trees with their plaques. There are over 1600 of them along the Honor Avenues of the park. 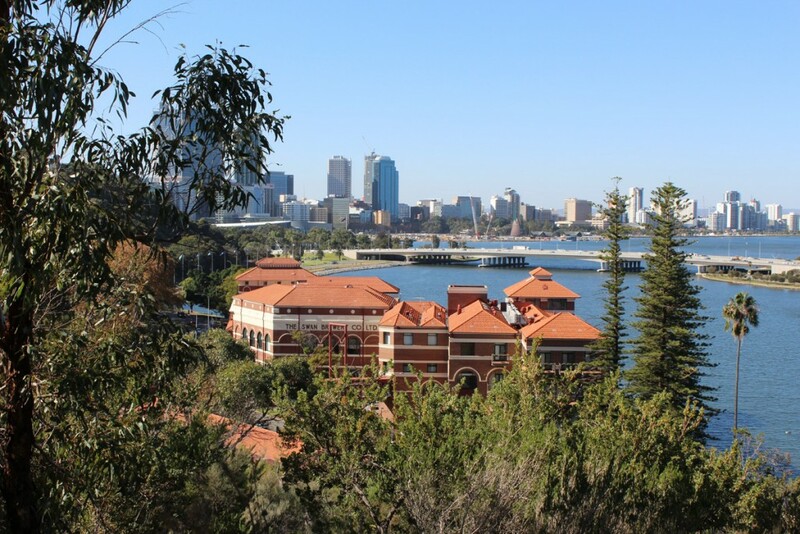 The upper part of the park stands on cliffs overlooking the Swan River and command a panoramic view of the city. 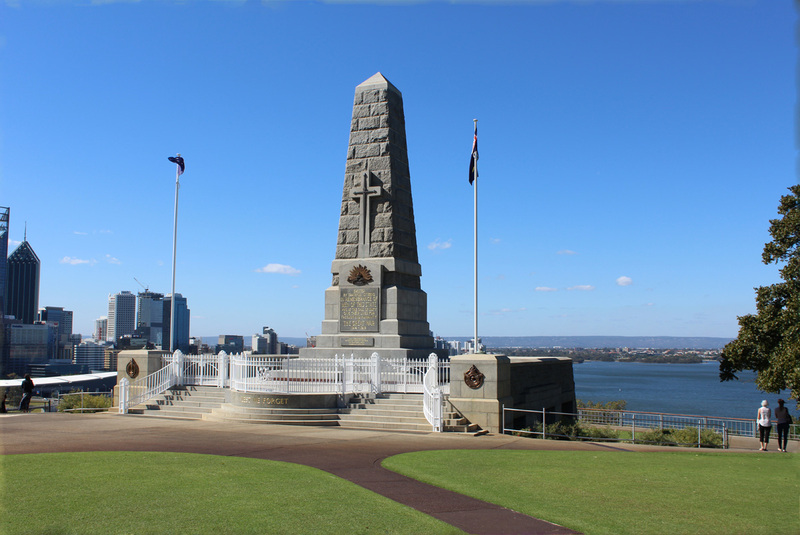 There are restaurants and a convention center as well as spacious lawns and a war memorial. 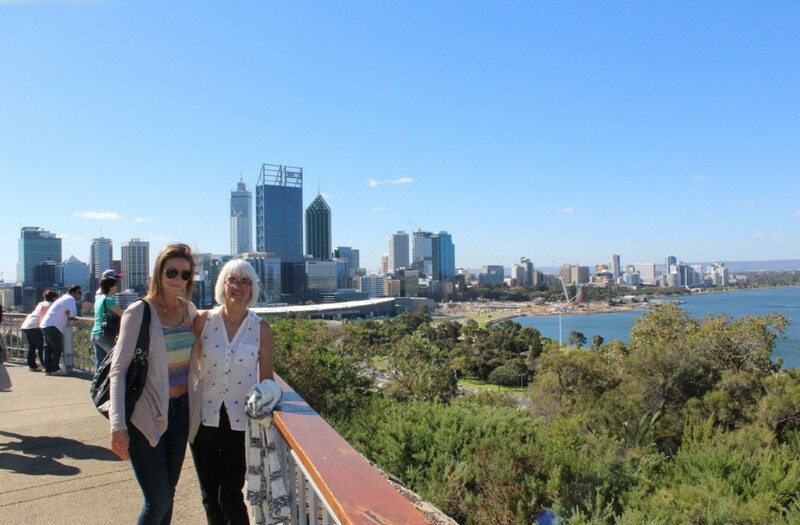 The upper plaza of Kings Park commands an excellent view of the city. 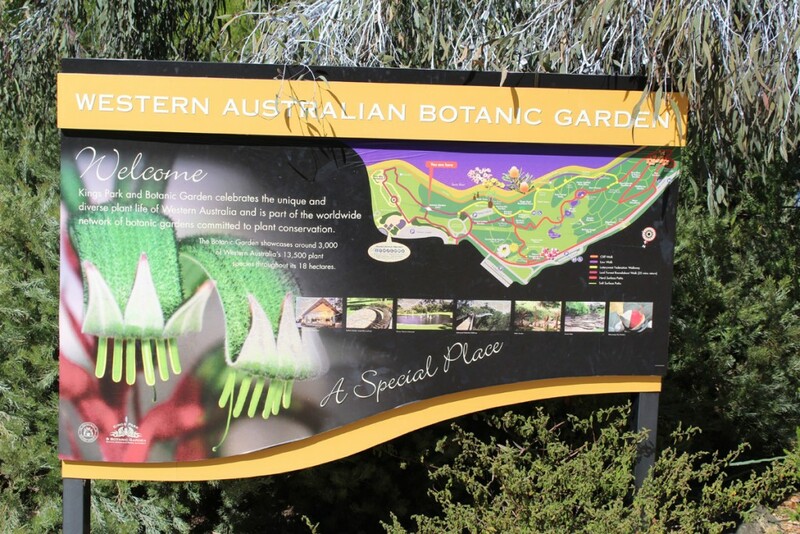 The upper part of the park also is the entrance to the Western Australian Botanic Garden. 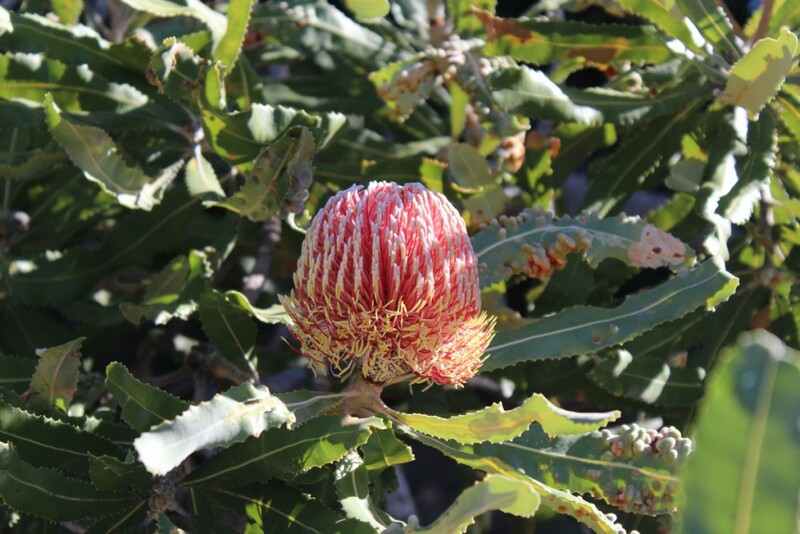 This is an 18 hectare area within the park which features over 2000 species of Western Australian plant life as well as species from the rest of Australia. 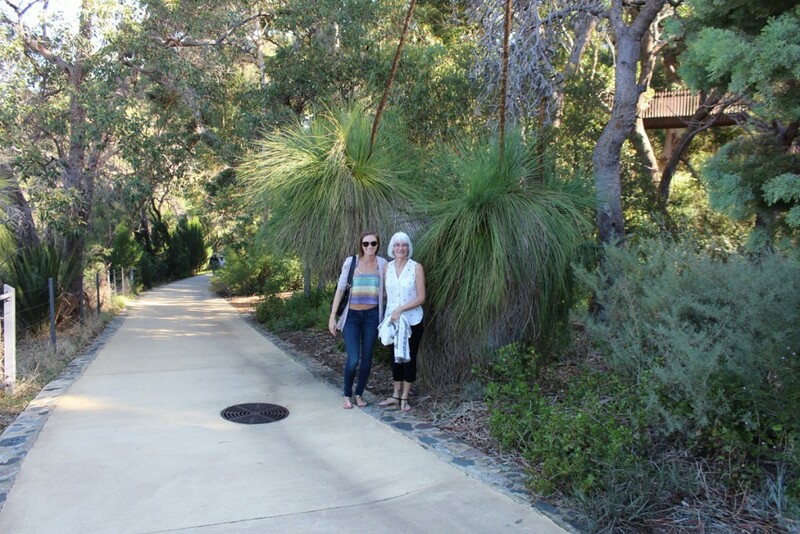 A path through the botanic garden. 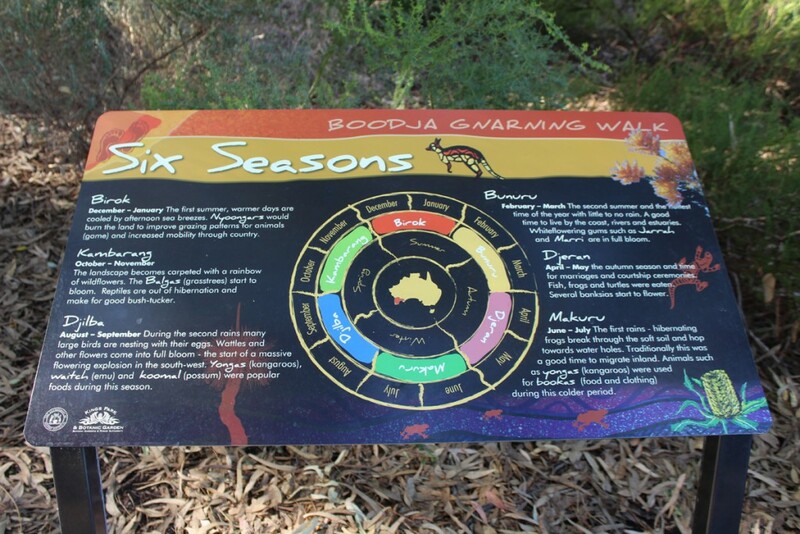 Signs throughout the garden explain the flora on display as well as some of the history of Western Australia. Along the trail you pass under a high footbridge. On the return route you can take this bridge to get another excellent view of the Swan Valley. 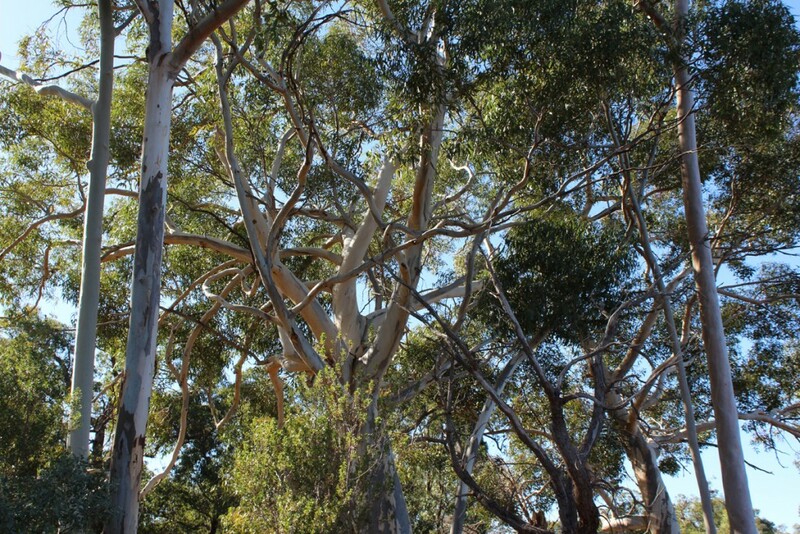 Australian brushland is subject to periodic brush fires. 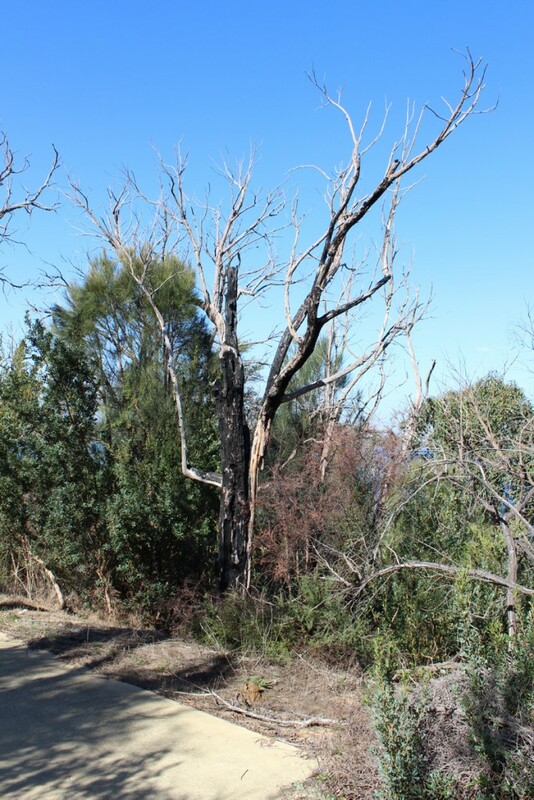 There was a severe brush fire that affected a huge swath between Perth and Margaret River in January of 2016. It wiped out one small ton completely. And we encountered another brush fire when we visited Lancelin. 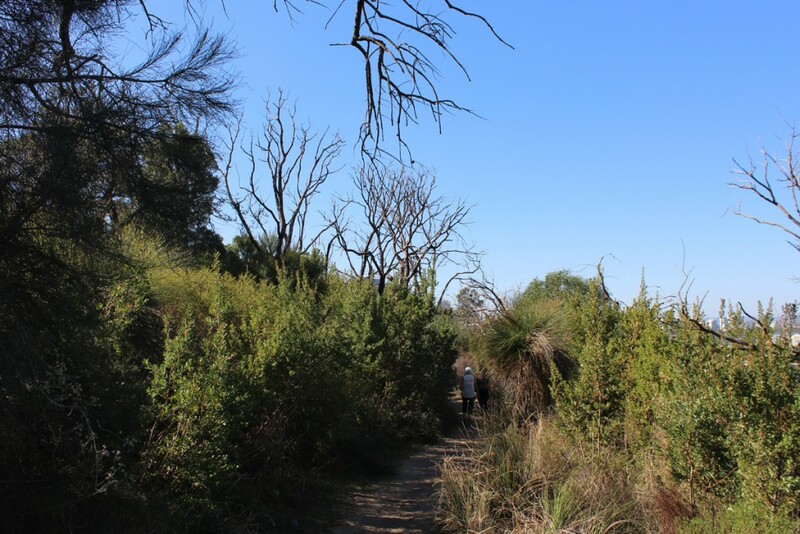 Kings Park has also had brush fires over the years and many of the trees and shrubs in the botanic garden showed the effects of fire and the resilience of the plant life. Burnt tree in the botanic garden. These dead specimens are kept as part of the exhibit as new vegetation grows around them. 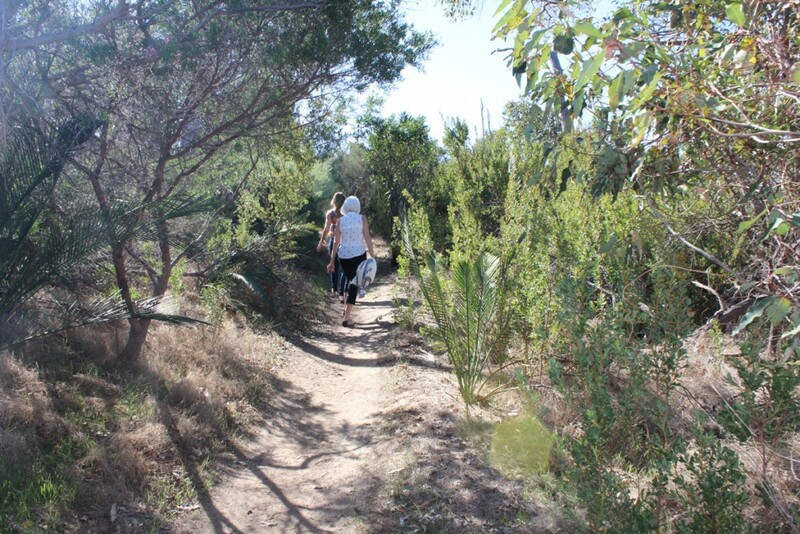 When we reached the end of the trail, we took an unpaved path back. It was narrow and a more adventurous as well as pristine route. The dirt path we took back. 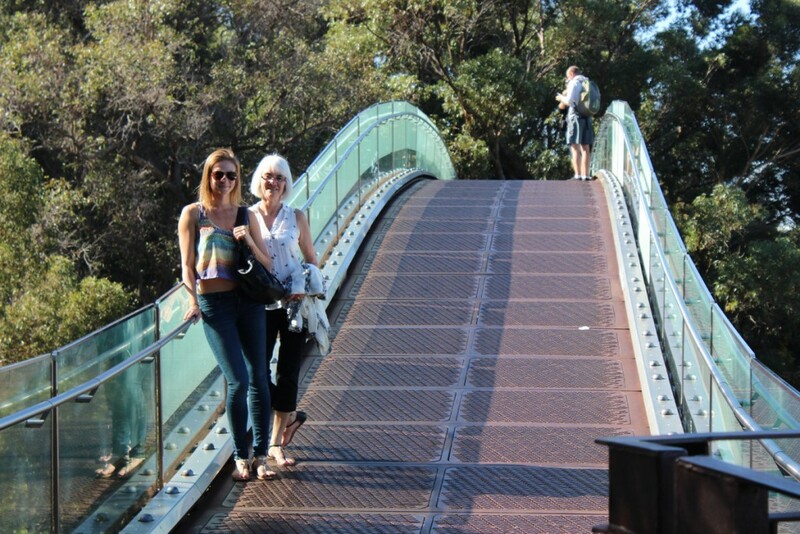 This led us back eventually to the footbridge, formally known as the Lotterywest Federation Walkway. 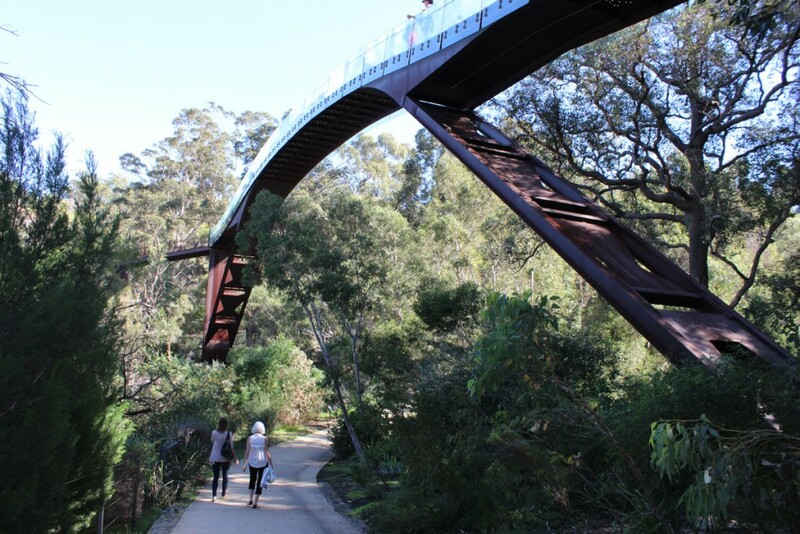 The Lotterywest Federation Walkway – a footbridge that takes you high above the botanical garden. 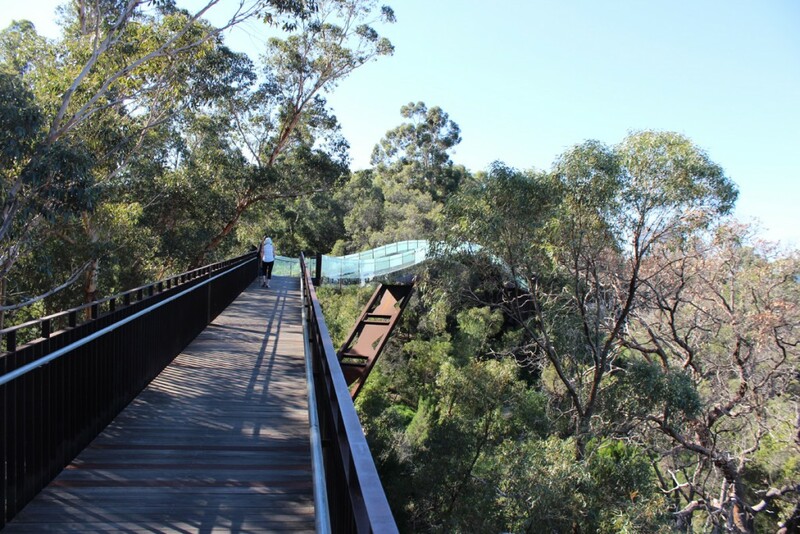 From the footbridge you get a superb view of the Swan Valley in all directions as well as a great view of the old historic Swan Brewery building below the cliffs. Originally built in 1838 as a sawmill, it was acquired by the brewery in 1877. It was redeveloped in the 1990s and reopened in 2001 as a multi-use facility that preserved the historic character of the building while housing restaurants and office space as well as 28 luxury apartments. The old Swan Brewery complex with the city in the background. 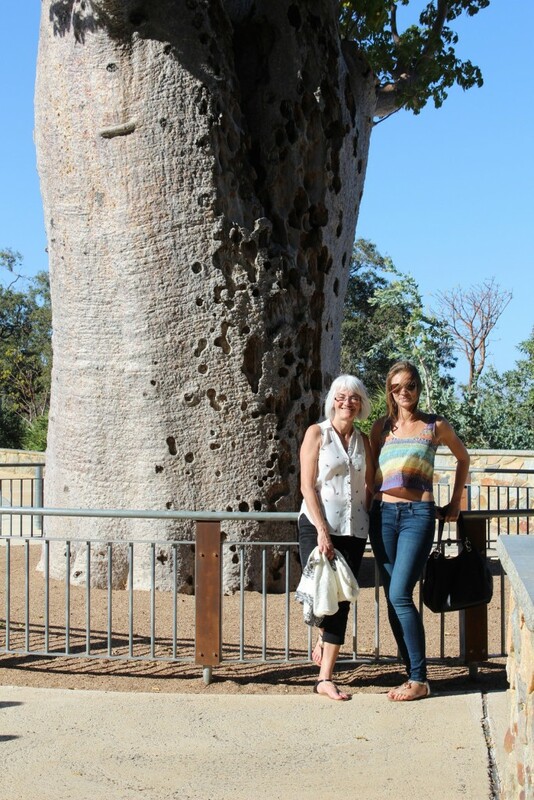 Among the plants on display is a magnificent old boab tree. 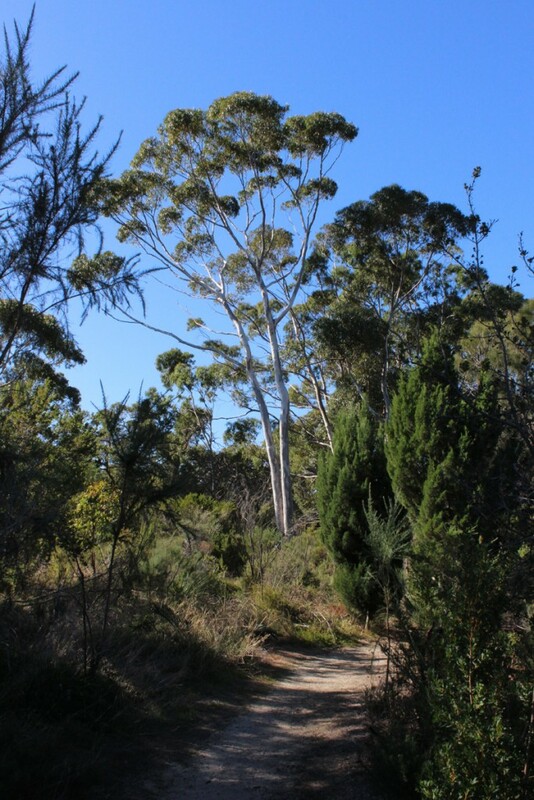 This tree is noted for its very wide trunk. 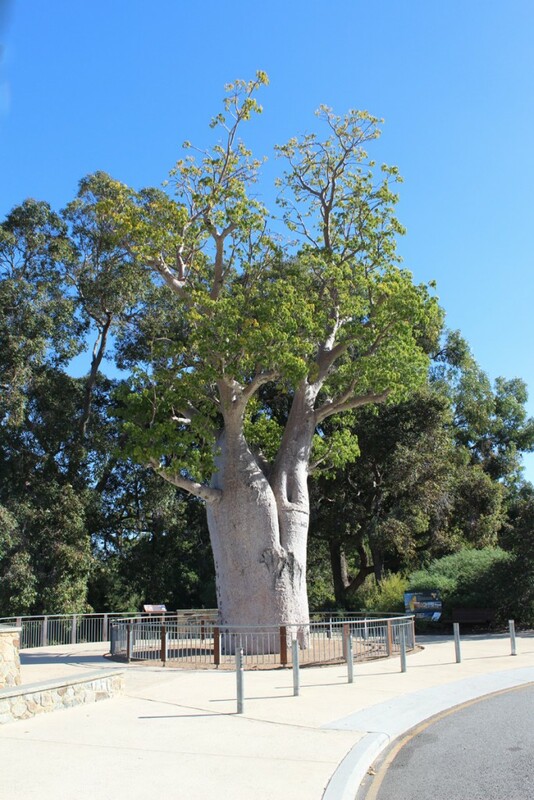 A magnificent specimen of a boab tree note for its wide trunk. 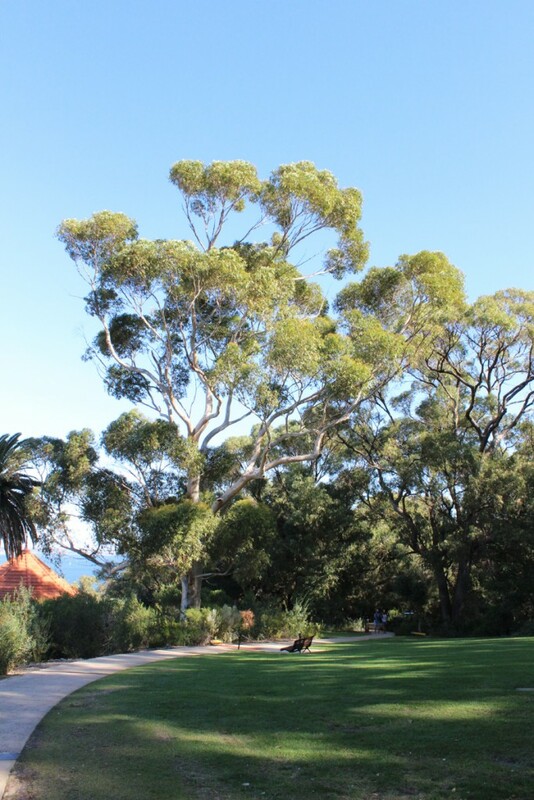 Kings Park is a jewel in Perth’s landscape, one of the great urban parks in the world. Below are links to two additional photo galleries and other links of interest. If you are on the front page, just scroll on through for the photo galleries. 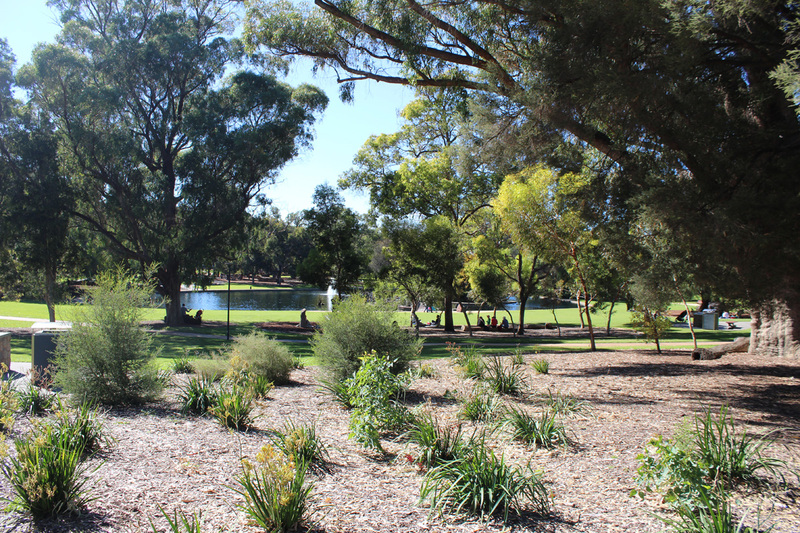 Here are some additional photos of Kings Park. Colorful signs describe the various displays. 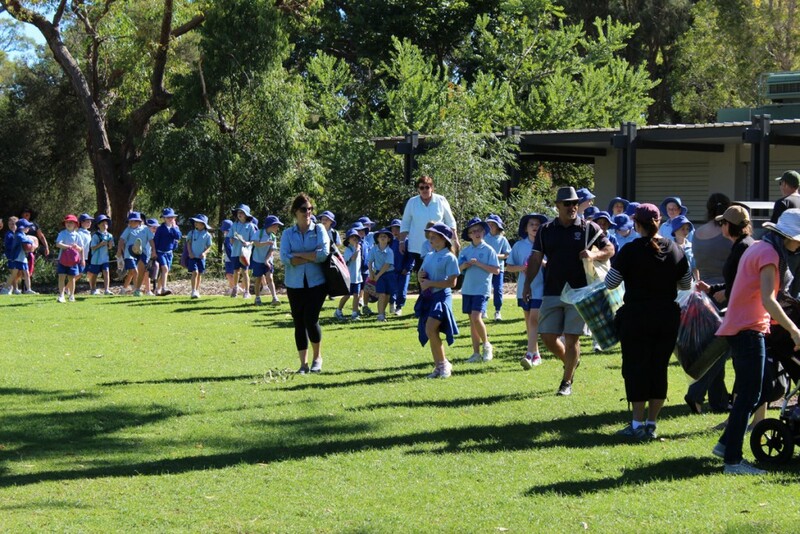 Lots of school tours visit Kings Park. Australian kids wear school uniforms and hats are an integral part of the uniform to protect against the hot sun. These are living rocks – stromatolites and thrombolites – formed by ancient microscopic lifeforms. 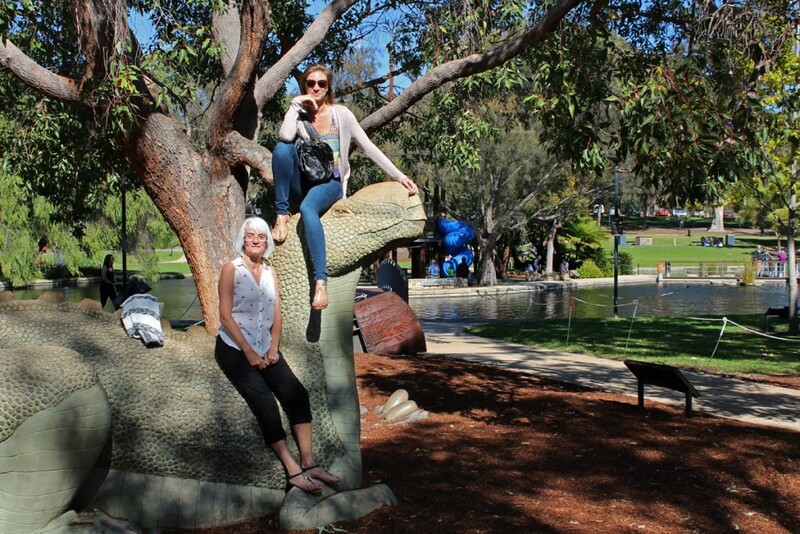 Janis and Sarah and their friend the murraburrasaurus. 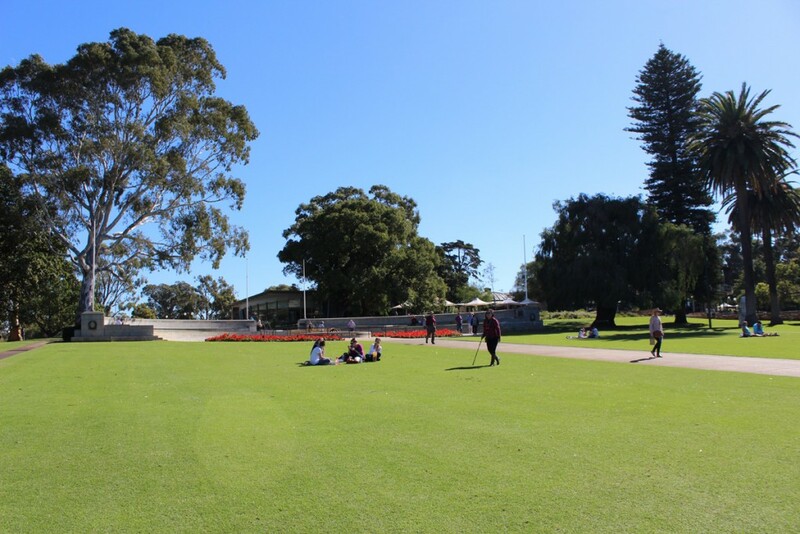 Large expanse of lawn in the Synergy Parkland. Vietnam War Memorial near the Synergy Parkland. 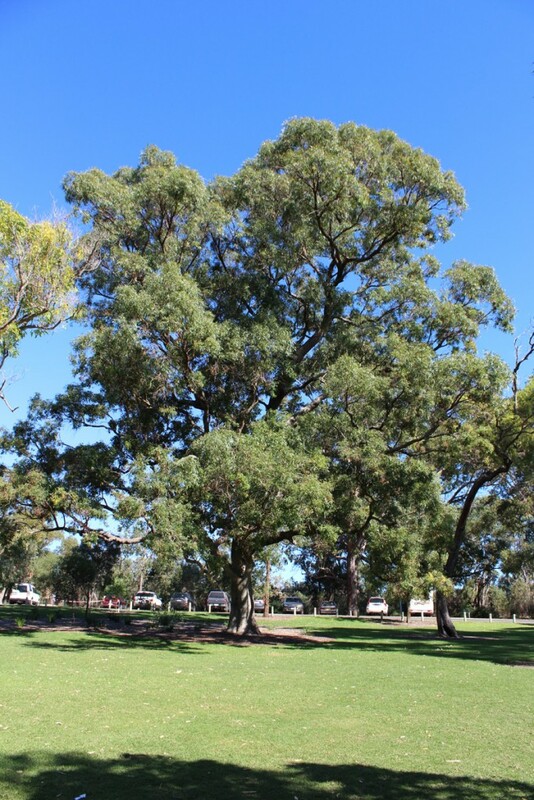 Large tree in the Synergy Parkland. Continue to the next photo gallery. 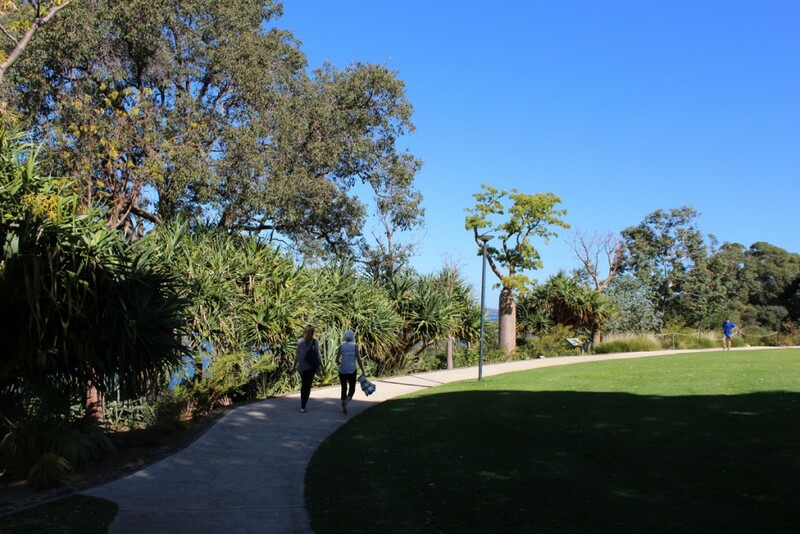 The path leading to the botanic garden. Australia has six seasons! 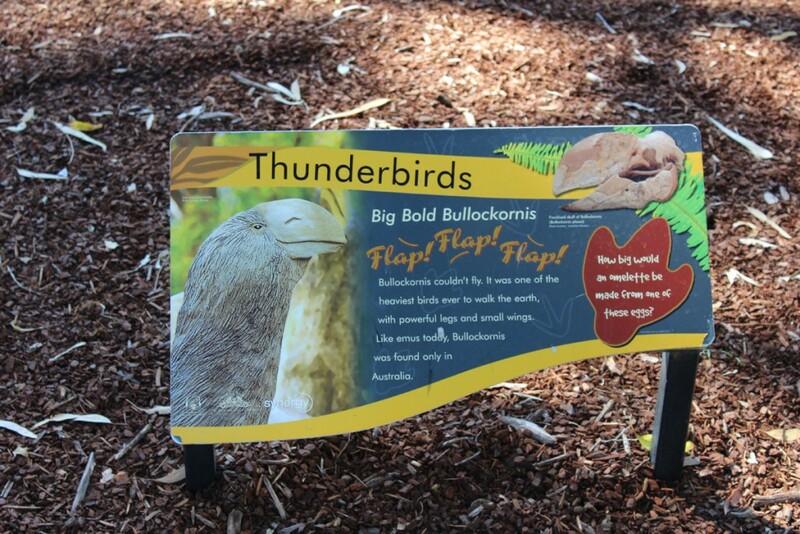 One of many signs explaining flora as well as Australian lore. The boab tree showing some of the damage that happened when it was transplanted here. Arborists have the plant on the mend. Truly one of the world’s great parks.